Good morning everyone! 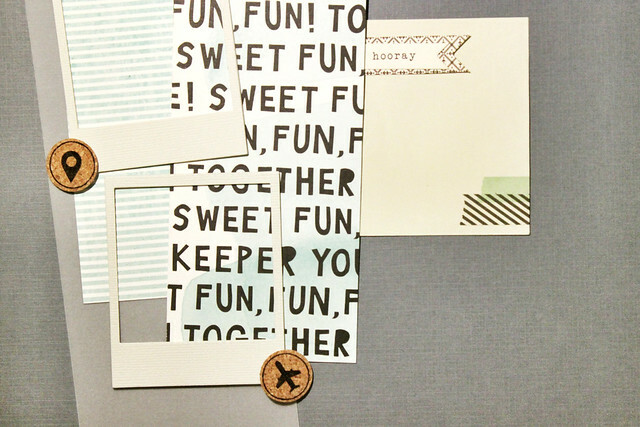 It's Pamela with a tutorial/step process for you on how I put together my scrapbook layout using the April 2015 PL Kit and the April 2015 Sprinkles Kit. I first die cut a few circles from a piece of cork sheet and before taking the die away from the cork, I used a black liner and outlined the circle. 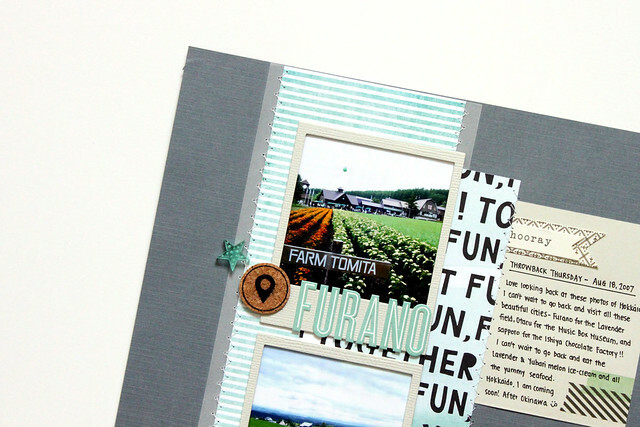 I then used the stamp set included in the April 2015 Sprinkles kit onto the cork using Memento Tuxedo Black. I cut out strips of paper from the 6x6 paper in the PL kit and started to arrange it on my cardstock. I cut out a few large photo frames from chipboard and covered it with using the Smoke textured 4x6 cardstock. 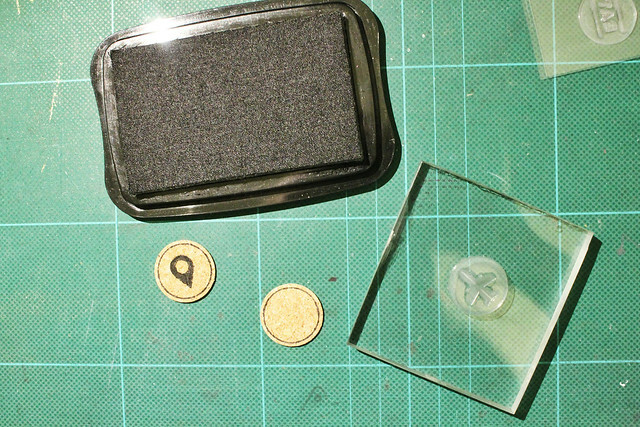 Now it's time to put the layout together! I have my photos printed out and adhered it under the frame. I pulled out the large Alphas from October Afternoon that's included in the PL Main for my title. Now it's time to sew everything down! 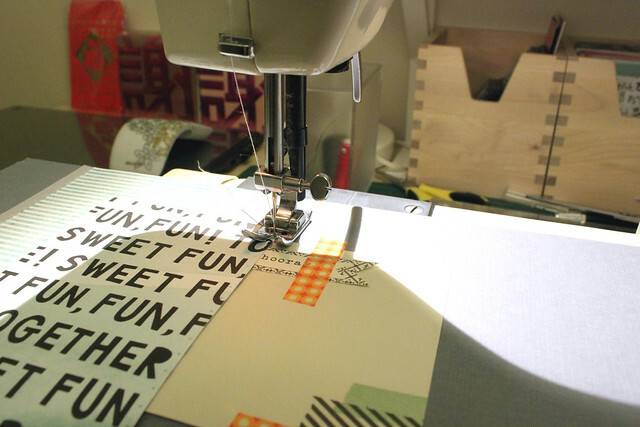 I use a sewing machine and stitch the vellum and pattern paper down. After everything has been sewed/adhered down, I embellished it with the clear blue acrylic stars from the Sprinkles Kit and did some journaling. Here's a close up of my layout. Here is my final layout! 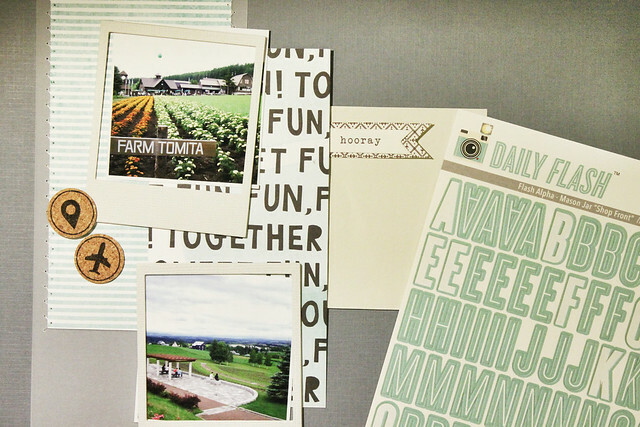 This photo was taken years ago but I thought it would make a fun TBT layout in my PL album. 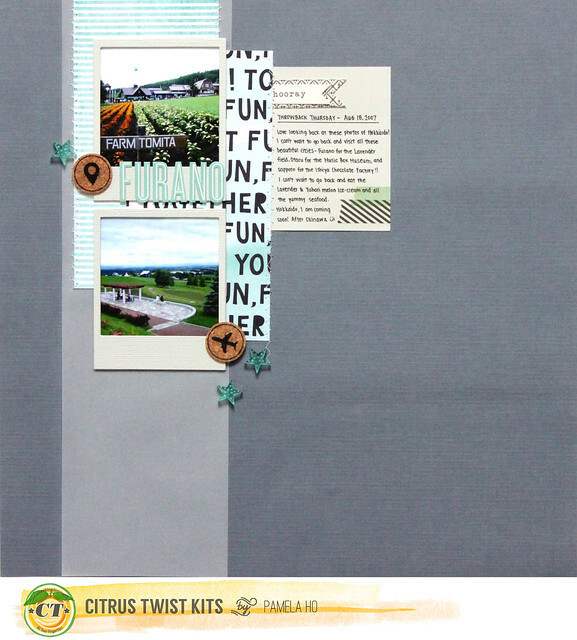 So there you go - a layout with stitching, self made cork embellishments and putting a layout together using the PL kit. I can't wait to see what you create!